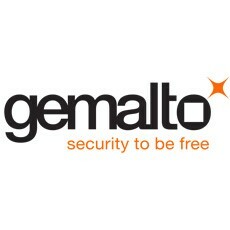 Gemalto, the world leader in digital security, and Bridge Alliance are demonstrating a solution for multi-country deployment of IoT devices at the Mobile World Congress, using Gemalto’s LinqUs On-Demand Connectivity (ODC) subscription management solution. Bridge Alliance is a partnership of 35 leading operators in Asia Pacific, Middle East and Africa, serving over 750 million customers. This demonstration, based on the GSMA interoperable standards, shows how hermetically sealed M2M and IoT devices such as connected cars or smart meters can securely connect to any Bridge Alliance Member Operator using remote ‘over-the-air’ provisioning. Cisco predicts that the global IoT market will reach USD 14.4 trillion by 2022¹. As M2M businesses evolve and transform to IoT, the adoption of a single, interoperable specification for instant connectivity of connected devices will reduce fragmentation. There will be no need for device makers to plan for unique subscription at production or build device variants for different operators. With Bridge Alliance’s extensive footprint, any IoT device will be able to connect to any affiliate’s network, making it easier to deploy innovative IoT services across multiple countries. “Gemalto has been at the forefront of defining and adopting standards-based technology for years,” said Michael Au, President South Asia and Japan at Gemalto.